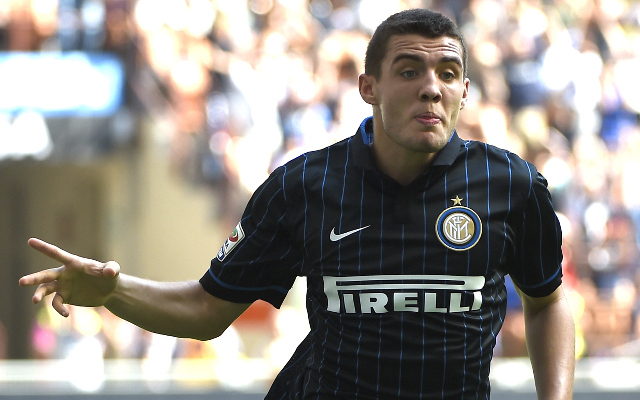 Liverpool have reportedly made contact with Inter Milan starlet Mateo Kovacic as they continue its search to replace Steven Gerrard. Gerrard is heading to MLS side LA Galaxy in the summer and Kovacic is seen as being a direct replacement for the club legend. The 21-year-old Croatia international has scored five goals in the Serie A this season, predominantly playing as a holding midfielder under former Manchester City boss Roberto Mancini. However, Kovacic is capable of playing in an advanced role and his ability to produce goals from midfield will have caught the eye of Brendan Rodgers. According to The Mirror, Liverpool have made an approach towards the £15m-rated star but he reportedly also has interest from Premier League rivals Arsenal. Kovacic’s passing accuracy of 87% will suit Rodgers’ possession-based style of football and his reported £15m price tag could become a bargain if the former Dinamo Zagreb man can build on the potential he has shown for both club and country.